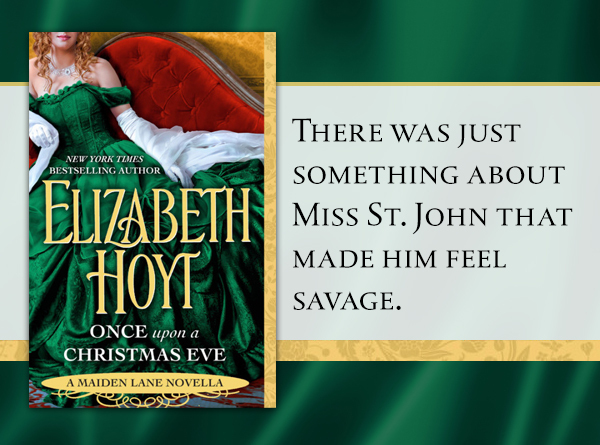 Elizabeth Hoyt’s new Maiden Lane novella, Once Upon A Christmas Eve, is a gift this holiday season! Take a look here and then one click this one right away! Adam Rutledge, Viscount d’Arque, really rather loathes Christmas. The banal cheerfulness. The asinine party games. And, worst of all, the obligatory trip to the countryside. 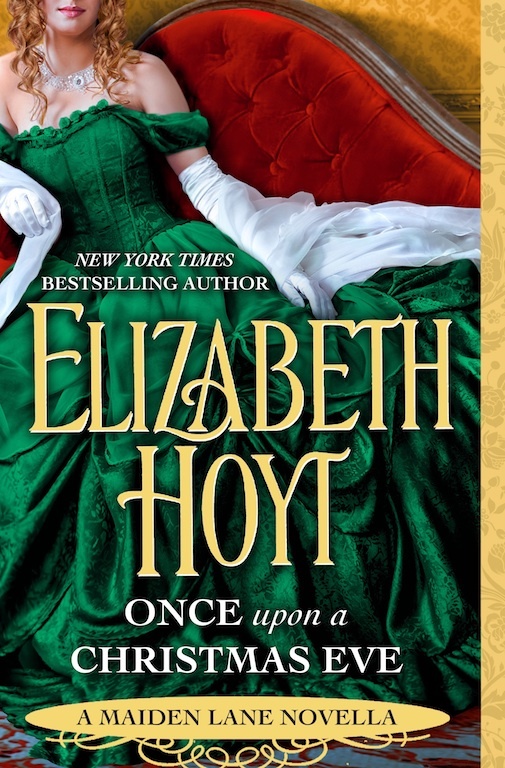 His grandmother, however, loves the holiday—and Adam loves his grandmother, so he’ll brave the fiercest snowstorm to please her. But when their carriage wheel snaps, they’re forced to seek shelter at the home of the most maddening, infuriating, and utterly beguiling woman he’s ever met. Sarah St. John really rather loathes rakes. The self-satisfied smirks. The sly predatory gazes. Oh, and the constant witty banter rife with double meaning. But in the spirit of the season, she’ll welcome this admittedly handsome viscount into her home. But as the snowstorm rages, the Yule log crackles, and the tension rises, Sarah and Adam find themselves locked in a fiery, passionate kiss. If love is the true meaning of Christmas, it’s the one gift this mismatched pair can’t wait to unwrap.